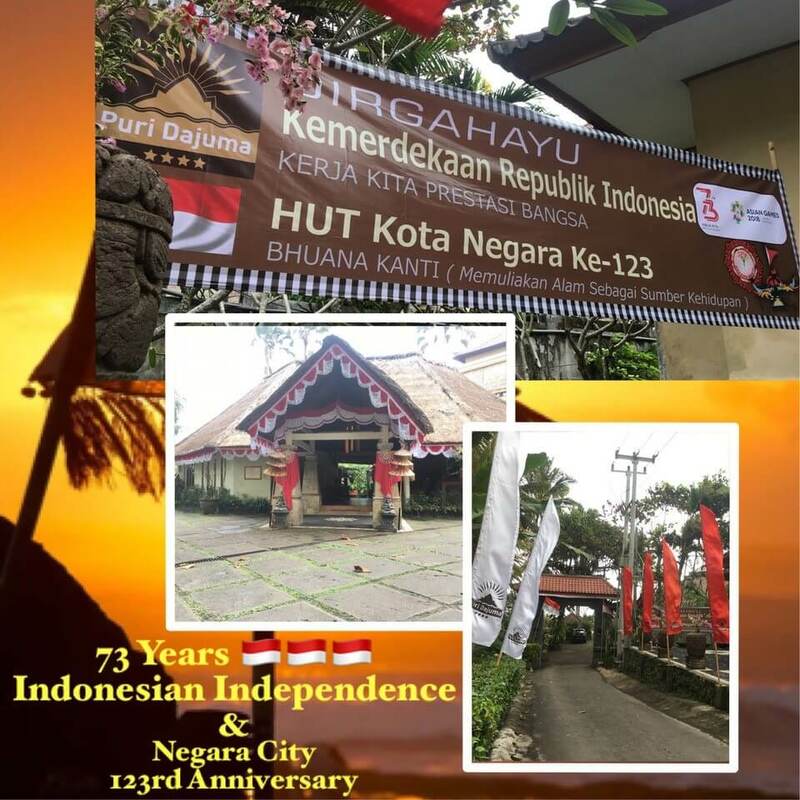 To celebrate the independence day on August 17th, Puri Dajuma is used to decorate the lobby and the main gate with red and white ornaments, the colors of the Indonesia flag. All the people in the villages or in the cities are very happy to celebrate the independence day. For Jembrana’ society, August is not only the Nation month but also a special month with the celebration the Negara City Anniversary. Many activities are held such as Fun Games, Industrial and craft exhibition, Art performances, Kite festival and Cultural Parade. All these activities are running during August. Not to be missed during your stay!